They made a mistake - they meant Madagascar (the Silver Cup between Zambia, Madagascar and Botswana). The senior men’s national rugby team has been placed in Group B of second tier of Africa Rugby competitions. Rwanda will face hosts Ivory Coast, Senegal and Mauritius in Group B whose matches will be staged from June 13-24, 2019 in Abidjan. The Silverbacks earned promotion last year to what is dubbed “Africa Silver Cup” following the Africa Rugby Federation’s move to increase the number of teams from six to eight. Back in May last year, they staged up as below-par performance at the Africa Bronze Cup in Ghana were they finished third out of countries that also included the hosts, Mauritius and Lesotho. According to Rwanda Rugby Federation, the Silverbacks will be managed by Technical Director Claude Aime Ezoua. Preparations will start after the end of the first Round of the national league with training scheduled for early May, 2019. Group B is composed of Madagascar, Ghana, Botswana and hosts Nigeria and will be played from June 6-17, 2019. The winners of Africa Silver Cup tournament get promoted to the top tier Africa Gold Cup tournament, while the bottom side is relegated to Africa Bronze Cup class. One friend of mine is in Windhoek now so does anybody know where is it possible to buy Welwitschians merch there or impossibility to find itself. Ivory Coast playing Switzerland in Geneva on the 24/2. 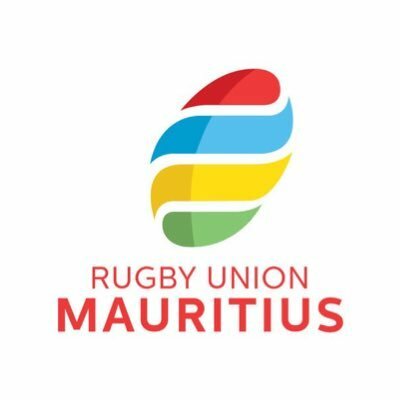 1) How likely is it that this dispute is not resolved and Namibia miss the RWC? 2) Who would take Namibia’s place if they miss out? There is no way they will miss RWC. Edit: from when exactly is the article? RugbyLiebe wrote: Edit: from when exactly is the article? Hadn't we read the same news not many months ago? Is it a fight revamped between those two boards or is it the same news just popped up again? If you read the article, it states that World Rugby visited before the New Year to mediate and no progress has been made. Thanks. Sounds a bit similiar to the core of the German federation vs. Wild fight and about who talks to World Rugby and can make which decisions. Strange that a Ltd founded last year already has a quarrel with the national federation. Something must have gone terrible wrong at the foundation when they are already wrestling for competences. Namibia cannot miss the RWC, that will really tarnish WR's reputation, and it is unlikely that will happen. The squabbles wont stop any time soon, but Namibia will be present in Japan. Why would it tarnish World Rugby's reputation and more importantly where? If Namibia gets excluded it is their fault. I don't think that Namibia will be expelled, but if this happens it is on them. It is definitly NOT World Rugby. Current WR administration is clearly wanting new markets and Kenya would be one great step in Africa. The problem is about Rugby Africa. BUT I do agree World Rugby would have problems replacing one more team, after all REC problems... it is bad for the image another case. And it can damage RWC expansion project. A T1 idiot would say "look those T2/3s are too amateur, we can't have teams like this in the RWC". And let's be honest: looking at Kenya's Repechage performance, matches against Springboks and All Blacks (Group B teams) would be terrible. victorsra wrote: It is definitly NOT World Rugby. Current WR administration is clearly wanting new markets and Kenya would be one great step in Africa. The problem is about Rugby Africa. It has the Currie Cup teams without the Super Rugby players... is it a transition? This is basically the Vodacom cup which has now been rebranded the supersport challenge. It is the 3rd tier competition of South African Rugby after Super rugby and the Currie cup. The welschwistas participate in it almost every year. Kenya Simbas also made their first debut in 2014, which really helped them in the rankings. That year saw the Simbas attain their highest ranking of 22 on the World rugby log. You are too suspicious, they are just light, vague resemblances! Canalina wrote: You are too suspicious, they are just light, vague resemblances! On a serious note, it would be a shame if they got in trouble over this. There have been some ridiculous copyright cases in the music world in recent years, much less obvious than this! Namibia heading for the World Cup. "There was never a possibility of the team not going to the World Cup. That's why we have done everything in our power to sort out the issues between the NRU and the NRL."